Recently at Waves Media, we got the chance to work with Home Base on an upcoming project. Take a look at the behind the scenes of what went into making this possible. 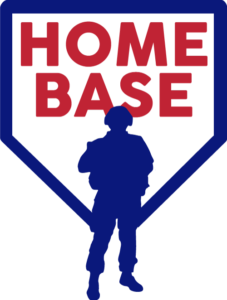 Home Base is a partnership between the Red Sox Foundation and Massachusetts General Hospital. They work with Veterans and Service Members recovering from post-traumatic stress (PTS), traumatic brain injury (TBI), and other related conditions. Founded in 2009 it is the largest private sector clinic that exclusively works with at-risk Veterans and Military Families. For this project, we conducted a series of interviews over the course of two hours in Boston. Our initial setup was in the hallway right outside of a conference room. 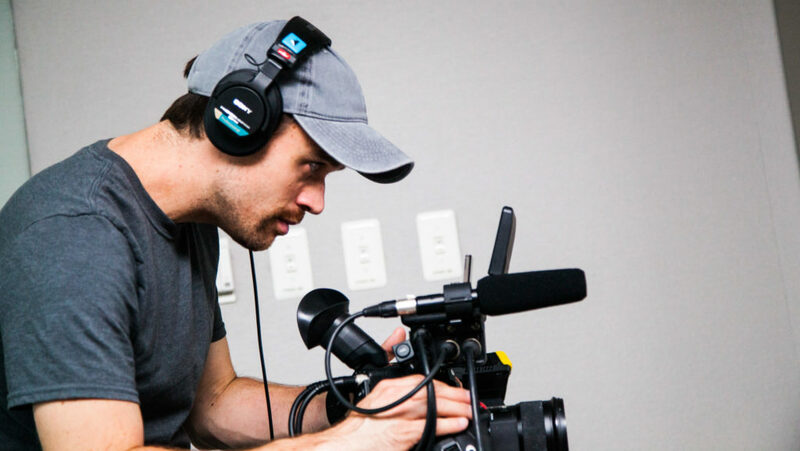 We utilized our Canon C300, a three-point lighting setup, and our slider to add movement to our shots. Because of this, our shots came out well lit and more dynamic because of the movement. Between the interview segment we had about fifteen minutes to break down our equipment and setup again in the secondary location, which in this case was inside the conference room. 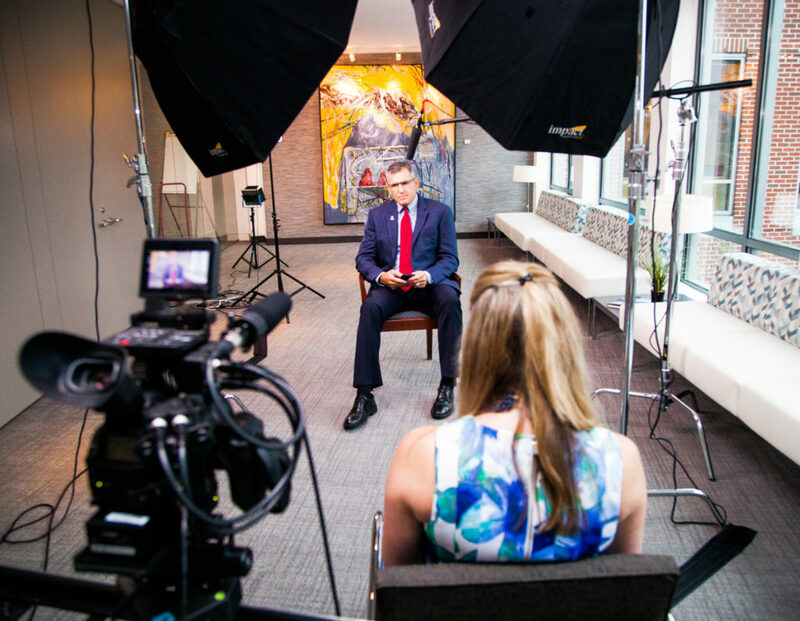 We filmed the remaining interviews in this location, only making sleight adjustments such as different lenses and camera positions to create unique backdrops for each interviewee. 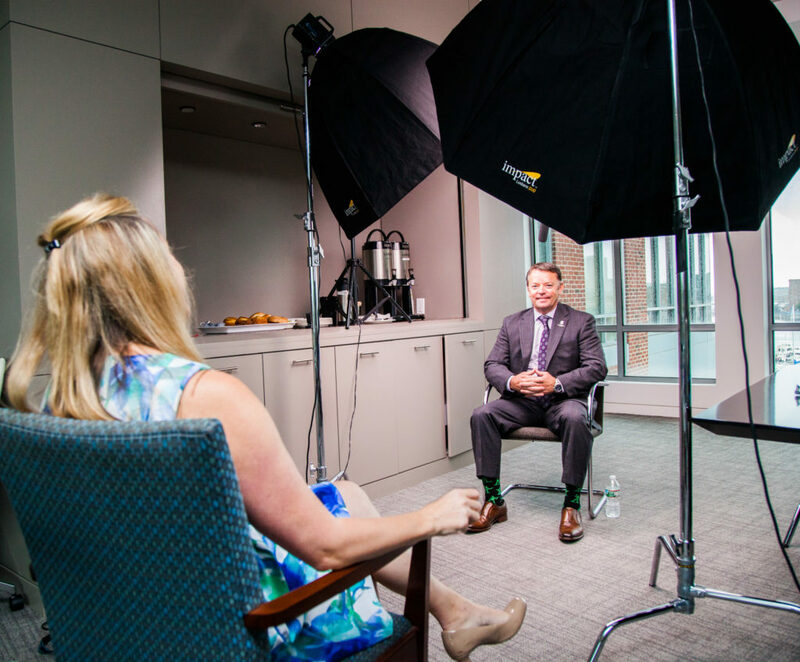 Our interviews for the day included members and staff of the Wounded Warrior Project, including CEO General Michael Linnington. Keep an eye out for more collaborative content between Home Base and Waves Media in the near future!